Synopsis: Laura (Vera Farmiga) is a single mother living in Seattle, who has a constant need to put others and animals before her. 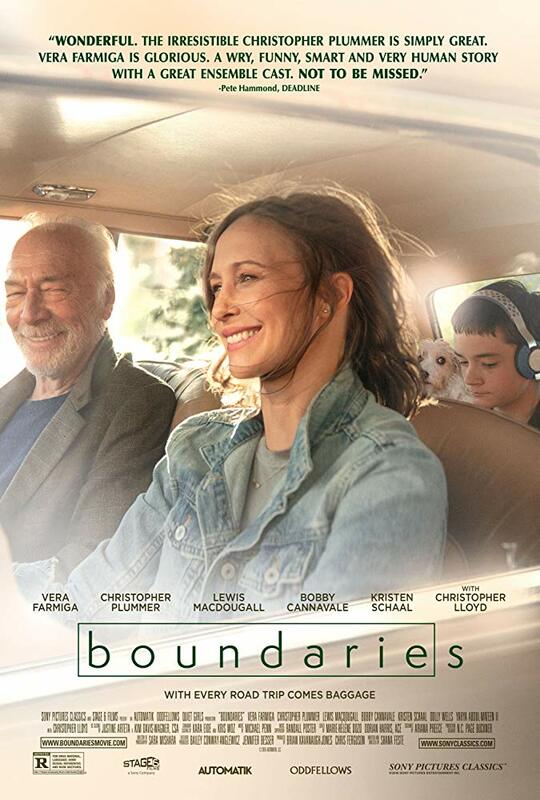 When her estranged, criminally-minded father Jack (Christopher Plummer) is kicked out of his retirement home, Laura agrees to drive him down the coast to live with her sister in Los Angeles. Along for the ride is her bright but troubled son Henry, and an assortment of animal charity cases. Without telling Laura, Jack convinces Henry to help him sell off his copious supply of marijuana at every stop of their journey, resulting in unexpected reunions with old friends and family.